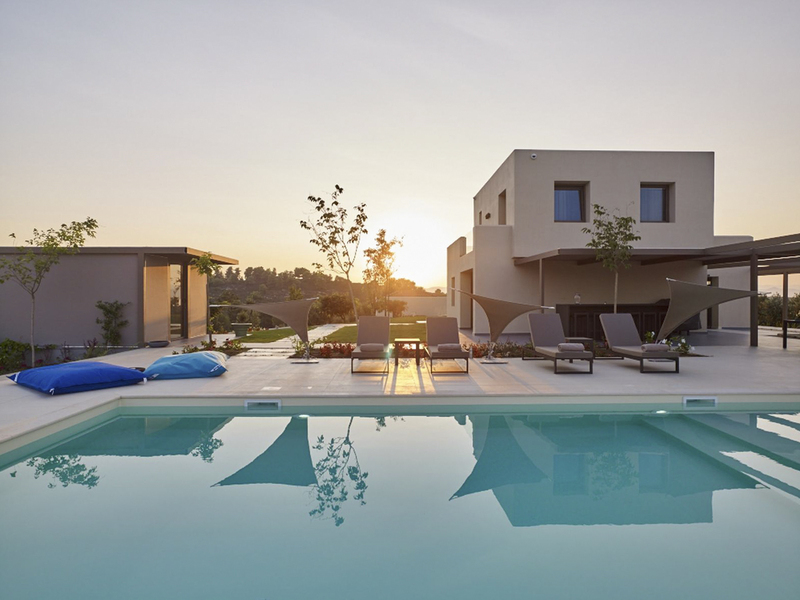 For a tranquil holiday stay in Greece, four-bedroomed Villa Retsina is your go to. 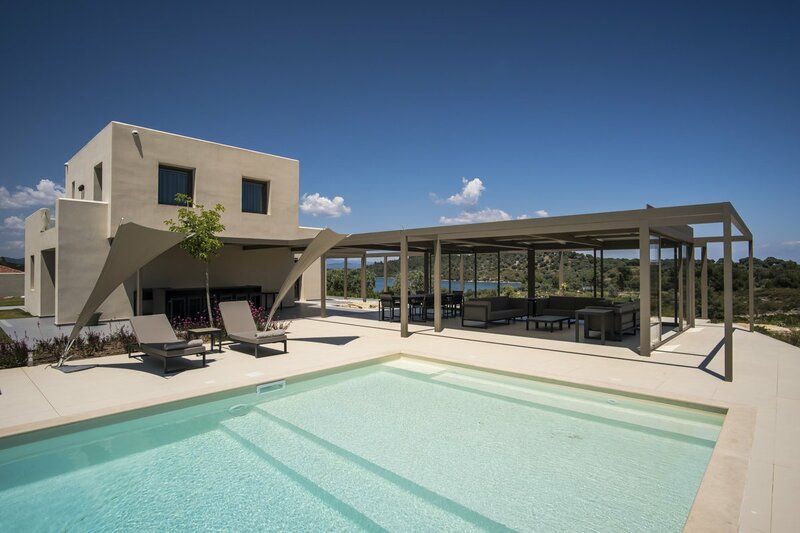 Thanks to its elevated position and peaceful setting on the quiet and private island of Diaporos, the luxurious villa boasts fantastic views of the sandy coastline below. Plus, this is the place to be for ooh-worthy sunsets! 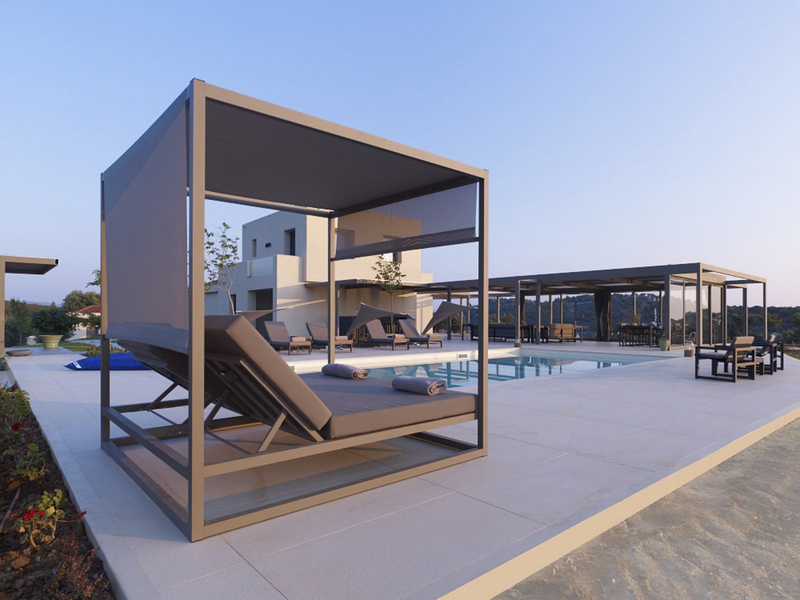 The villa is picture worthy too with its sleek likes and cube-shaped design. Don’t be fooled by the minimalist style though. 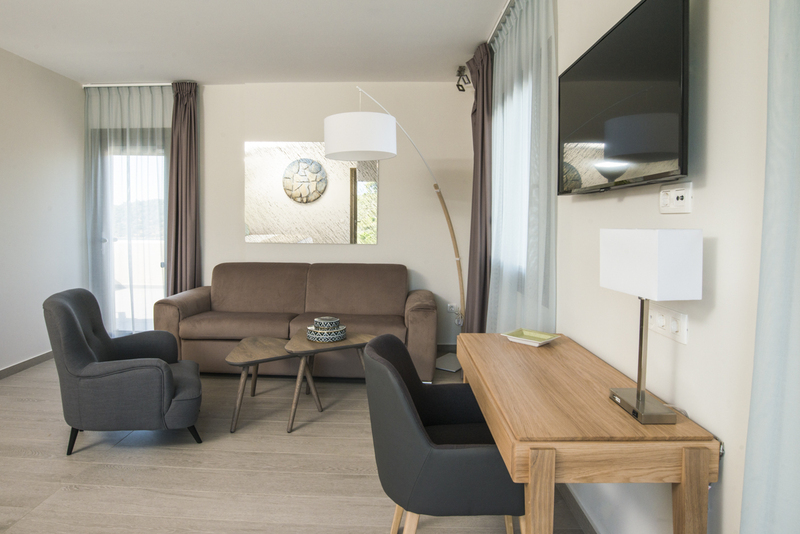 Furnishings are comfortable and plush for a truly relaxing stay. 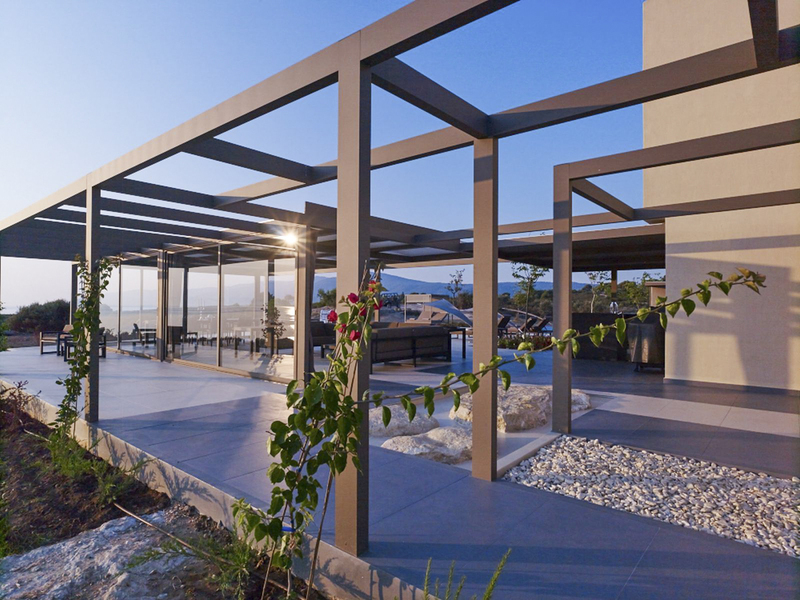 Inside the modern villa, you’ll find all the home comforts – a fully-equipped kitchen, two spacious sitting rooms (one looking to the natural gulf of Kryftos and the other one to the mountain of Athos), as well as plenty of places to sunbathe or relax in the shade. 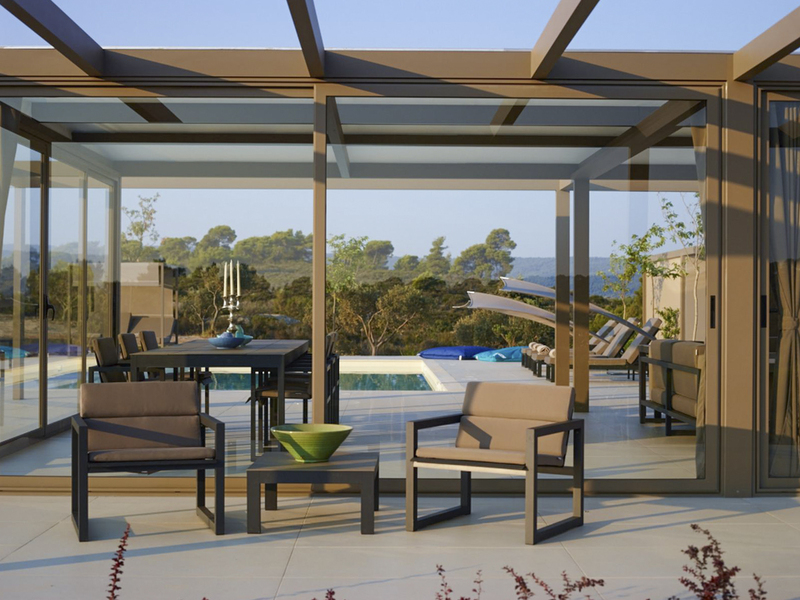 Spend your days lounging by your generously-sized swimming pool, reading on the serene terrace or cycling across the island. Discover hidden coves or must-see sights like the Holy Mountain, rising just over 2,000 metres from Halkidiki peninsula’s southern tip or the traditional Greek villages like Ornos Panagias where a picturesque harbour and local tavernas serving freshly-caught seafood. 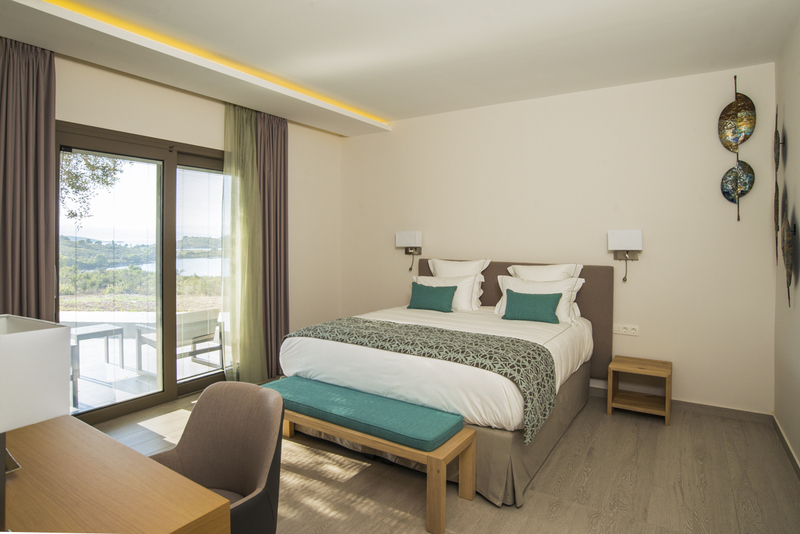 And when you get back, the four equally comfortable en-suite bedrooms await. 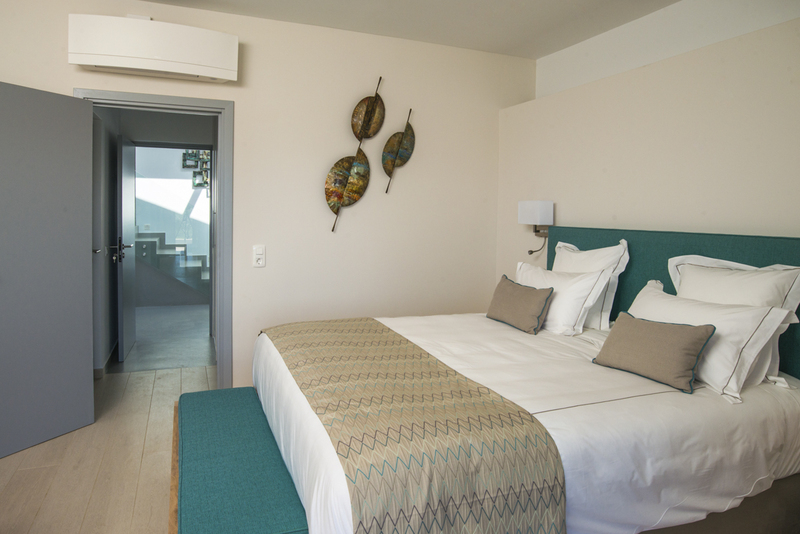 Choose from the three stylish bedrooms in the main villa, or there’s another bedroom in a separate studio space. 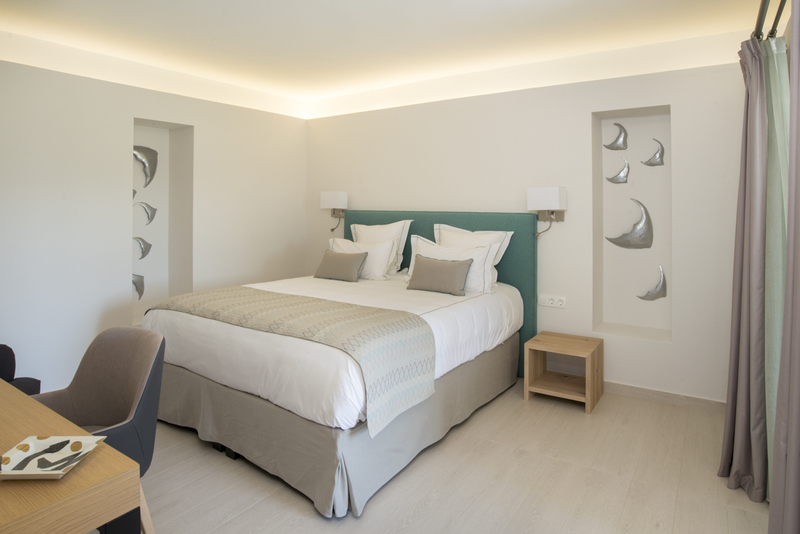 Each room has a king or a queen-size bed, as well as superior quality linen for a peaceful night’s rest. 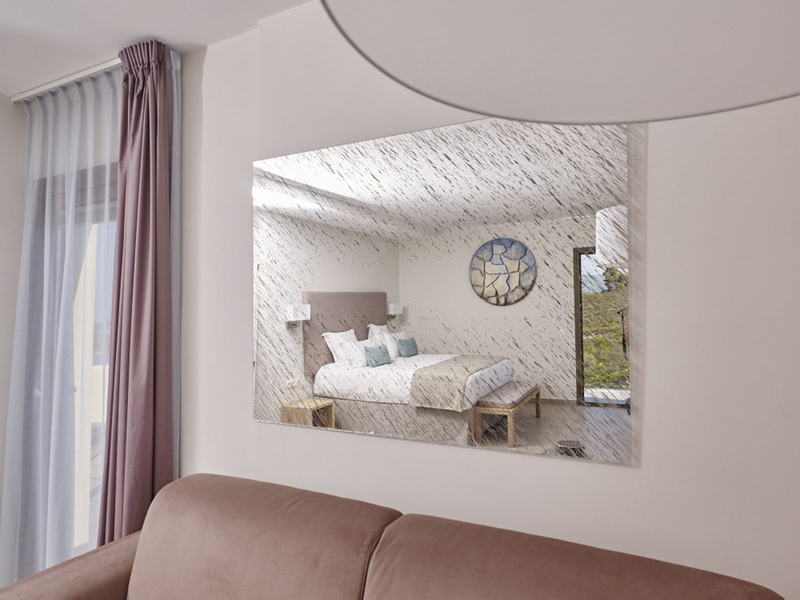 There’s plenty of space to organise your holiday wardrobe in the separate clothes closets, while multi-jet showers, natural beauty products and soft towels, dressing gowns and slippers create a unique spa-like experience. Oh, and did we mention there's air conditioning throughout and a wine cellar too? You’re welcome. 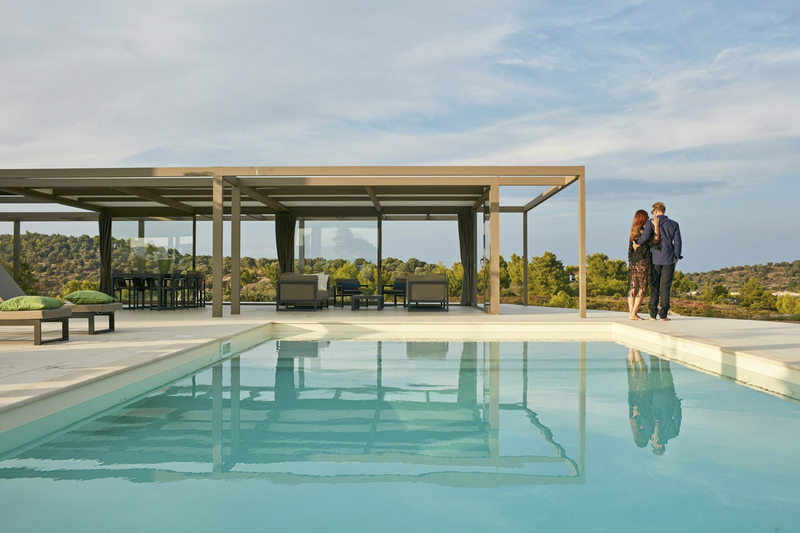 Villa Retsina packs in the benefits for a hassle-free holiday. 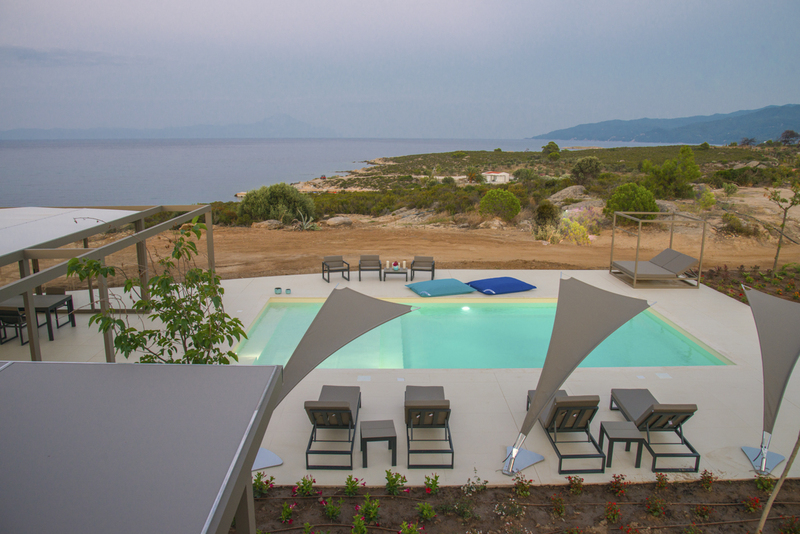 The villa benefits from pristine white sandy beaches with calm, turquoise water and there’s a private jetty with easy access to sailing boats. We recommend hopping on a boat and exploring the nearby smaller islands – ideal for swimming, snorkelling and diving. 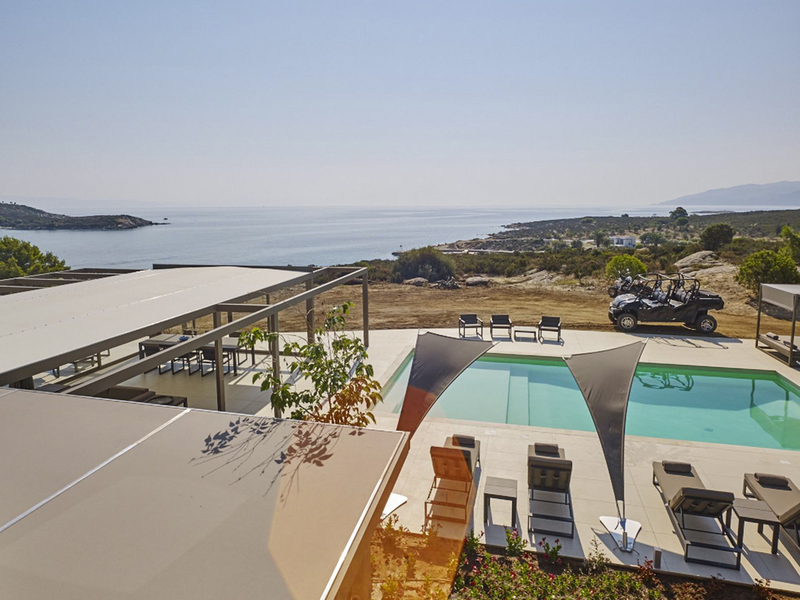 Villa Retsina is on the island of Diaporos in northern Greece. 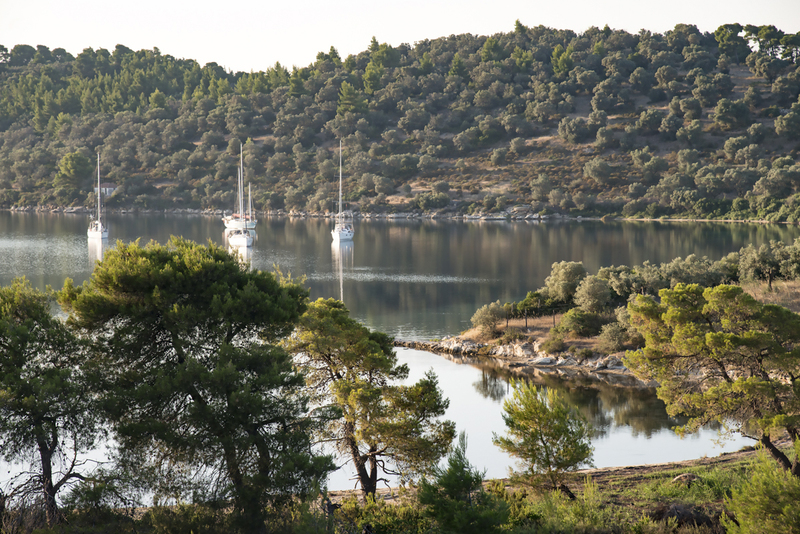 It’s on a private bay and is surrounded by a natural forest. 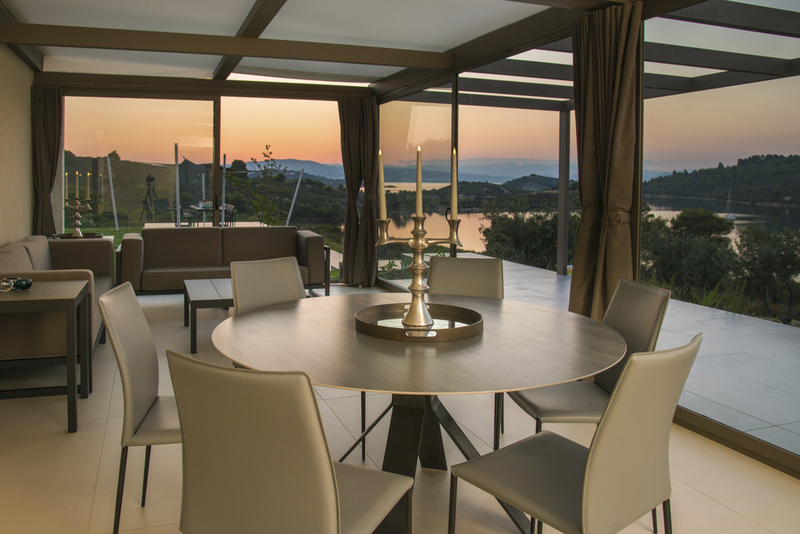 With only a couple of holiday properties on the island, it remains one of Halkidiki’s quiet and peaceful areas, however there’s still plenty of fantastic things to see and do. 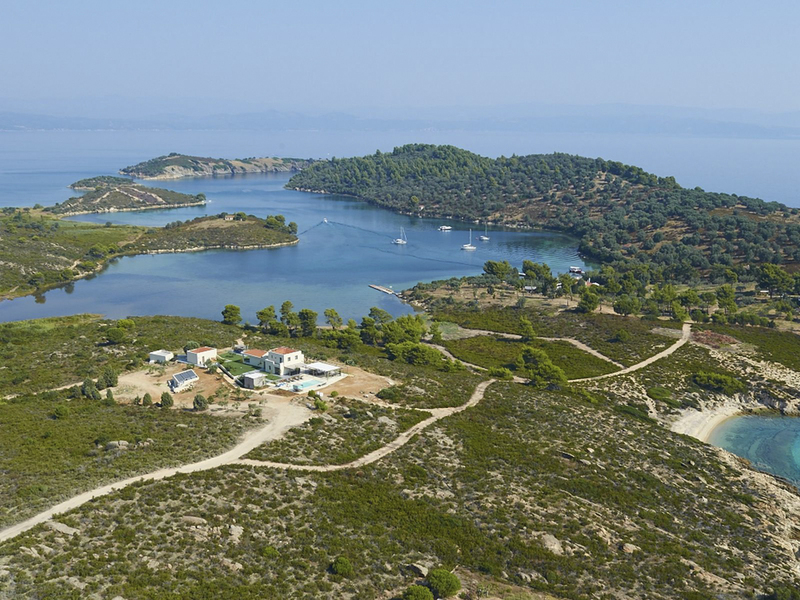 Diaporos Island is located 5 min by boat from Vourvourou and 10 min from the village Ormos Panagias which have some of Halkidiki's best fish restaurants.It’s a really intimate & private place surrounded by stunning beaches and crystal clear water. There is a complimentary transfer via the resort's pontoon boat to Vourvourou where there is secure parking. Each villa has a pontoon boat 5m which can be driven without license.It’s a really calm and peaceful place & on the meantime it’s just 5 min by boat to go to all the restaurants/shops/bars. Spend your days cycling around the island, discovering secluded coves, or relaxing on one of the soft sandy beaches. There are also many reefs where you can snorkel, swim or scuba dive, as well as smaller islands in the surrounds that are well worth exploring – just hop on a boat! For picking up fresh local produce or holiday essentials, Diaporos is right across the Greek mainland from Vourvourou village on the Sithonia peninsula. There you’ll find a couple of local shops and restaurants, as well as pine forests to explore and sandy beaches. Other must see places include Mount Athos on Halkidiki’s easternmost peninsula. It’s right up there with the Acropolis in Athens. You’ll find a picturesque mountain dotted with medieval monasteries. 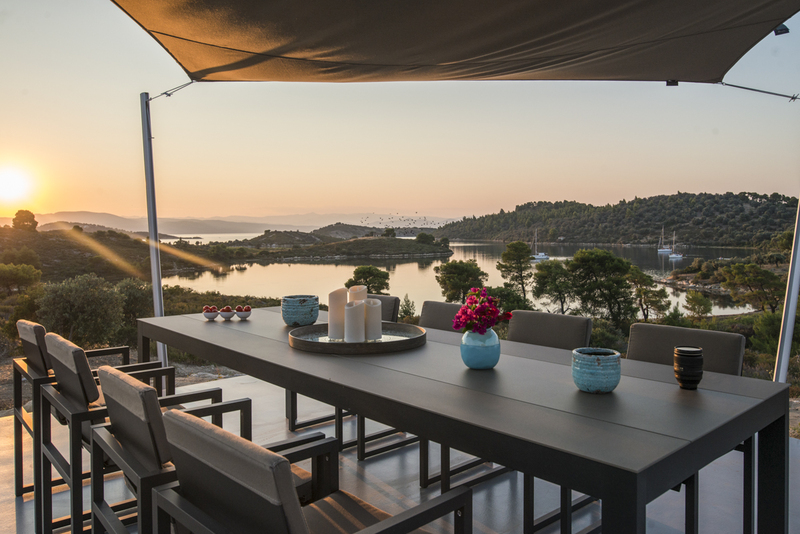 The Blue Lagoon is also an extraordinary marvel in Halkidiki. It's a small strait between Diaporos Island and another small island and has a shallow bay with a white sandy bottom. This combination of sand and the shallow depth allows for a glacier blue colour to the water. For lazy afternoons on the beach, Karidi one of Halkidiki’s most photographed beaches. Think powder-soft sand and blue azure waters. For culture fiends, the region's most notable archaeological sites include Aristotle’s birthplace and Olynthus with excellently preserved mosaics. 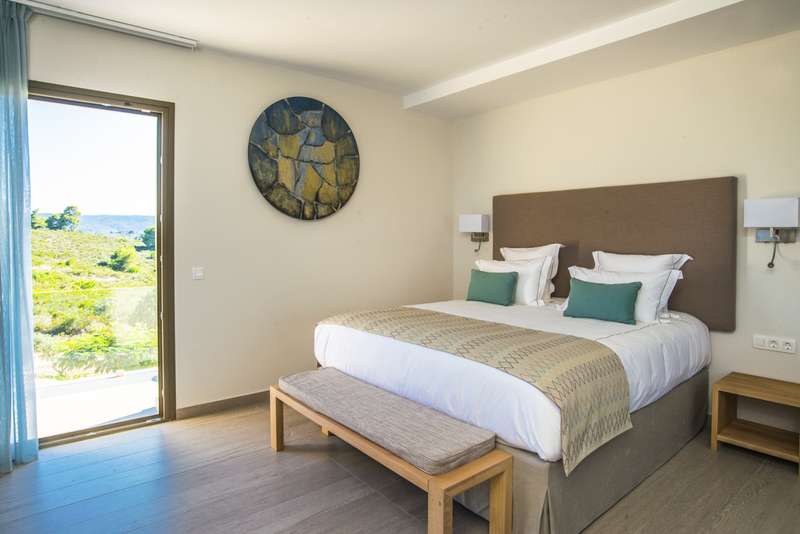 If you’d like to book the Vill’otel serviced option, contact us on villotel@excellenceluxuryvillas.com for a tailor-made quote! Typical costs range between £100-£250 per person per week dependent on requirements. Please note that all services are subject to availability and must be requested at the time of booking. Please note that all services are subject to availability and must be requested at the time of booking.